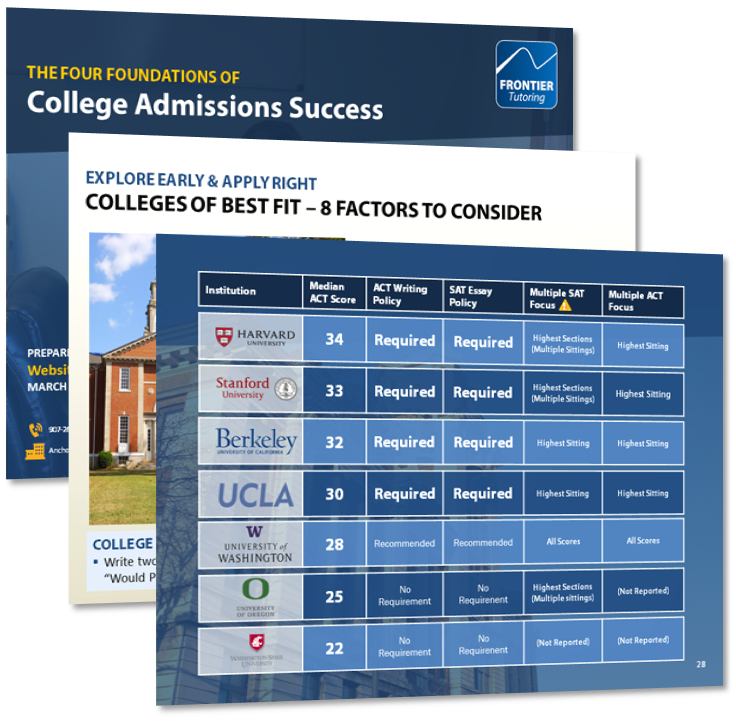 Learn the four foundations of college admissions success. Get the inside scoop on what you should be doing now so you can succeed when it's time to apply. 4. Testing Well: Understanding the differences between the Redesigned SAT and ACT, plus a 3-step process to determine which test to focus on, set your target score based on your college and scholarship goals, and select the most effective study strategy.